How did we get started? A great working relationship, a love of wine and travel, lots of happy participants…..we decided to make this dream our reality! Here is a bit about us…..
Harsha E. Chacko is a Professor Emeritus of Hotel, Restaurant and Tourism Administration at the University of New Orleans where he taught for 33 years. He has a doctorate from the University of New Orleans (UNO) and Bachelors and Masters Degrees in Hotel, Restaurant and Travel Administration from the University of Massachusetts where he first became interested in wine when he completed a college course on Beverage Management. At the University of New Orleans, Harsha was the faculty advisor for Esprit de Corx (the student wine club) and also developed a university level course titled Wines of the World. He led student field study trips to Napa and Sonoma, CA for 10 years since 2006 and in 2009, Harsha successfully completed the requirements for the designation as a Certified Specialist of Wine from the Society of Wine Educators. 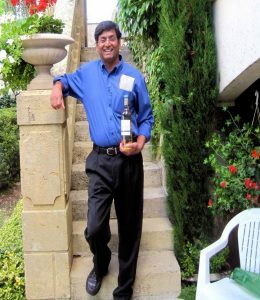 For numerous years, Harsha taught the Wines of the World course in Montpellier, France for the UNO Glories of France summer program. During these summers, he toured Alsace, Bordeaux, Burgundy, Champagne, Loire Valley, Rhone, Beaujolais, Southwest France and Languedoc-Roussillon to acquire firsthand wine knowledge. He has also visited the Piedmont, Tuscany and Frascati wine regions in Italy, Setubal in Portugal, and Marlborough in New Zealand. Harsha and his wife Elen live in New Orleans and founded the Lake Vista Wine Club, a wine tasting group that meets once a month. He is a contributing writer to The Vista magazine where he writes wine articles. I am so lucky to be able to have successfully combined my passion for travel and my love of languages to explore the world. 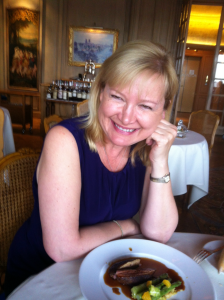 For over 26 years have worked as Program Director for International Education at the University of New Orleans and coordinated all aspects of travel abroad for people who want to explore France, Italy and Costa Rica. Now I dedicate all my time to Bonne Cuvée. I enjoy researching local food places ranging from street food at a minimal price for tight budgets to Michelin starred restaurants for my foodie gourmet travelers. While directing my study abroad programs, one of the most popular classes in my Glories of France program has been “Wines of the World” taught by Harsha Chacko. For many years I organized every aspect of these educational wine trips to Bordeaux, Burgundy, and other regions in France while Harsha, a professional wine instructor, taught about the terroirs and cepages, visited numerous vineyards, met with oenologists and wine growers. 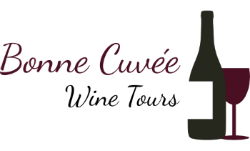 Now we have both teamed up our expertise with Bonne Cuvée and lead wine lovers through the best wine regions of the world. Extensive international travel has allowed me to see and try so much. My goal is to highlight the food and wines of the regions visited and to keep the experience as personal and genuine as possible. I live with my husband and family in Baton Rouge and New Orleans. My family originates from the Madiran wine region in the French Pyrenees and I look forward to sharing my knowledge and love of wine, food and travel with my participants. I write the blog Simplytravelabroad.com and I am a contributing travel writer for The Vista magazine.